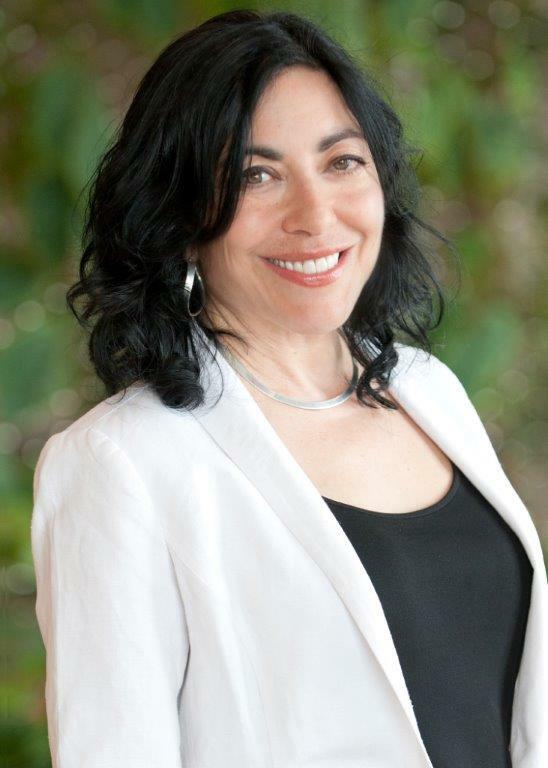 Jennifer Tour Chayes is Technical Fellow and Managing Director of Microsoft Research New England in Cambridge, Massachusetts, which she co-founded in 2008, Microsoft Research New York City, which she co-founded in 2012, and Microsoft Research Montreal, which she has been leading since 2017. These three laboratories are world-renowned multidisciplinary centers, bringing together computer scientists, mathematicians, physicists, social scientists, and biologists. Prior to founding these labs, Chayes was Research Area Manager for Mathematics, Theoretical Computer Science, and Cryptography at Microsoft Research Redmond. Chayes joined Microsoft Research in 1997, when she co-founded the Theory Group. Her research areas include phase transitions in discrete mathematics and computer science, structural and dynamical properties of large networks, mechanism design, graph algorithms, and machine learning. She is the co-author of about 140 scientific papers and the co-inventor of about 30 patents. Chayes has many ties to the academic community. She was for many years Professor of Mathematics at UCLA. Chayes serves on numerous institute boards, advisory committees and editorial boards, including the Boards of Trustees of the Institute for Computational and Experimental Research in Mathematics (ICERM) and the Center for Discrete Mathematics and Computer Science (DIMACS), the Scientific Advisory Board of the Gordon and Betty Moore Foundation, the Advisory Committee of the Howard Hughes Medical Institute Janelia Research Campus, and the Board of Directors of the Center for Minorities and People with Disabilities in IT (CMD-IT). Chayes is the past Chair of the Turing Award Selection Committee of the Association for Computing Machinery, past Chair of the Mathematics Section of the American Association for the Advancement of Science, and past Vice-President of the American Mathematical Society. Chayes received her B.A. in biology and physics at Wesleyan University, where she graduated first in her class, and her Ph.D. in mathematical physics at Princeton. She did her postdoctoral work in the mathematics and physics departments at Harvard and Cornell. She is the recipient of the National Science Foundation Postdoctoral Fellowship, the Sloan Fellowship, and the UCLA Distinguished Teaching Award. Chayes is the recipient of many leadership awards including the Leadership Award of Women Entrepreneurs in Science and Technology, the Leading Women Award of the Girl Scouts of Eastern Massachusetts, the Catalyst Award of the Science Club for Girls, the Women to Watch Award of the Boston Business Journal, the Women of Vision Leadership Award of the Anita Borg Institute, and the Distinguished Leader Award of the Massachusetts Technical Leadership Council. She has twice been a member of the Institute for Advanced Study in Princeton. Chayes is a Fellow of the American Association for the Advancement of Science, the Fields Institute, the Association for Computing Machinery, the American Mathematical Society, a National Associate of the National Academies, and an Elected Member of the American Academy of Arts and Sciences. Chayes is the recipient of the 2015 John von Neumann Lecture Award, the highest honor of the Society for Industrial and Applied Mathematics. In 2016, Chayes was awarded an Honorary Doctorate by Leiden University in the Netherlands. Chayes is well-known for her work on phase transitions, in particular for laying the foundation for the study of phase transitions in problems in discrete mathematics and theoretical computer science; this study is now giving rise to some of the fastest known algorithms for fundamental problems in combinatorial optimization. Chayes is world-renowned in the field of network science, particularly in its mathematical and algorithmic foundations. She is well-known for her work in the modeling and analysis of random, dynamically growing graphs, which are used to model the Internet, the World Wide Web, social and economic networks, as well as networks in computational biology. Chayes is one of the inventors of the field of graph limits (graphons), which are now being used extensively in the machine learning of massive networks, both theoretically and in practice. Chayes has recently begun to work in privacy, and in fairness and accountability in machine learning. In the past five years, Chayes has keynoted major machine learning conferences including NIPS, KDD, Strata and Hadoop, and Scaled ML. Among Chayes' contributions to Microsoft technologies are the development of methods to analyze the structure and behavior of various networks, the design of auction algorithms, and the design and analysis of various business models for the online world. Chayes' labs are currently delivering cutting-edge machine learning to Azure, the Microsoft Cloud. Counting graph homomorphisms (with C. Borgs, L. Lovasz, V. Sos, B. Szegedy and K. Vesztergombi) in Topics in Discrete Mathematics (eds. M. Klazar, J. Kratochvil, M. Loebl, J. Matousek, R. Thomas, P. Valtr), 315-371, Springer (2006). Graph limits and parameter testing (with C. Borgs, L. Lovasz, V. Sos, B. Szegedy and K. Vesztergombi) Proceedings of the 38rd Annual ACM Symposium on the Theory of Computing (STOC), 261-270 (2006). Convergent sequences of dense graphs I: Subgraph frequencies, metric properties and testing (with C. Borgs, L. Lovasz, V. Sos, and K. Vesztergombi) Advances in Math. 219, 1801-1851 (2008). Convergent sequences of dense graphs II: Multiway cuts and statistical physics (with C. Borgs, L. Lovasz, V. Sos, and K. Vesztergombi) Ann. of Math. 176, 151-219 (2012). Moments of two-variable functions and the uniqueness of graph limits (with C. Borgs and L. Lovasz) GAFA 19, 1597-1619 (2010). Limits of randomly grown graph sequences (with C. Borgs, L. Lovasz, V. Sos, K. Veszterbombi) Eur. J. Comb. 32, 985-999 (2011). Left and right convergence of graphs with bounded degree (with C. Borgs, J. Kahn, L. Lovasz) Random Struct. Alg. 42, 1-28 (2013). Asymptotic behavior and distributional limits of preferential attachment graphs (with N. Berger, C. Borgs, A. Saberi) Ann. Probab. 42(1), 1-40 (2014). Convergent sequences of sparse graphs: A large deviations approach (with C. Borgs, and D. Gamarnik) Random Struct. Alg. 51, 52-89 (2017). An Lp theory of sparse graph convergence I: limits, sparse random graph models, and power law distributions (with C. Borgs, H. Cohn and Y. Zhao) preprint (2014), to appear in Transactions of the AMS. An Lp theory of sparse graph convergence II: LD convergence, quotients, and right convergence (with C. Borgs, H. Cohn and Y. Zhao) Annals of Prob. 45, 337-396 (2018). Graphons: a nonparametric method to model, estimate, and design algorithms for massive networks (with C. Borgs). Proceedings of the 18th ACM Conference on Economics and Computation (EC�17), 665�672, (2017). Sparse exchangeable graphs and their limits via graphon processes (with C. Borgs, H. Cohn and N. Holden) Journal of Machine Learning Research 18 (210), 1-71 (2018). Sampling perspectives on sparse exchangeable graphs (with C. Borgs, H. Cohn, V. Veitch). Preprint (2017). Identifiability for graphexes and the weak kernel metric (with C. Borgs, H. Cohn, L. M. Lovasz). Preprint (2018). Multi-unit auctions with budget-constrained bidders (with C. Borgs, N. Immorlica, M. Mahdian and A. Saberi) Proceedings of the 6th ACM Conference on Electronic Commerce (EC), 44-51 (2005). Bid optimization in online advertisement auctions (with C. Borgs, O. Etesami, N. Immorlica and M. Mahdian) 2nd Workshop on Sponsored Search Auctions (2006) and Proceedings of the 16th international conference on World Wide Web (WWW), 531-540 (2007). The myth of the folk theorem (with C. Borgs, N. Immorlica, A. Kalai, V. Mirrokni and C. Papadimitriou) Proceedings of the 40th Annual ACM Symposium on the Theory of Computing (STOC) (2008). Trust-based recommendation systems: An axiomatic approach (with R. Andersen, C. Borgs, U.Feige, A. Flaxman, A. Kalai, V. Mirrokni and M. Tennenholtz) Proceedings of the 17th international conference on World Wide Web (WWW), 199-208 (2008). A novel approach to propagating distrust (with C. Borgs, A. Kalai, A. Malekiany, M. Tennenholtz) Proceedings of the 6th International Workshop on Internet and Network Economics (WINE) 87-105 (2010). Game-theoretic models of information overload in social networks (with C. Borgs, B. Karrer, B. Meeder, R. Ravi, R. Reagans and A. Sayedi) Proceedings of the 7th Workshop on Algorithms and Models for the Web Graph (WAW) 146-161 (2010). Fast convergence of natural bargaining dynamics in exchange networks (with Y. Kanoria, M. Bayati, C. Borgs and A. Montanari) Proceedings of the 22nd ACM-SIAM Symposium on Discrete Algorithm (SODA) 1518-1537 (2011). The hitchhiker's guide to affiliation networks: A game-theoretic approach (with C. Borgs, J. Ding and B. Lucier) Proceedings of the 2nd Symposium on Innovations in Computer Science (ICS) 389-400 (2011). Pricing and queuing (with C. Borgs, S. Doroudi, M. Harchol-Balter, K. Xu) SIGMETRICS Performance Evaluation Review 40(3): 71-73 (2012). Priority pricing in queues with a continuous distribution of customer valuations (with S. Doroudi, M. Akan, M. Harchol-Balter, J. Karp, C. Borgs) CMU technical report CMU-CS-13-109 (2013). The optimal admission threshold in observable queues with state dependent pricing (with C. Borgs, S. Doroudi, M. Harchol-Balter, K. Xu) Probability in the Engineering and Informational Sciences 28, 101-110 (2014). Optimal multi-period pricing with service guarantees (with O. Candogan, C. Borgs, I. Lobel, and H. Nazerzadeh) Management Science 60, 1792-1811 (2014). Bargaining dynamics in exchange networks (with M. Bayati, C. Borgs, Y. Kanoria and A. Montanari) J. Econ. Theory 156, 417-454 (2015). An axiomatic approach to community detection (with C. Borgs, A. Marple, and S.-H. Teng) Proceedings of the 2016 ACM Conference on Innovations in Theoretical Computer Science (ITCS '16), 135-146 (2016). Thy friend is my friend: iterative collaborative filtering for sparse matrix estimation (with C. Borgs, C.E. Lee, D.Shah). Advances in Neural Information Processing Systems (NIPS) 30, 4718�4729, (2017). Iterative collaborative filtering for sparse matrix estimation (with C. Borgs, C.E. Lee, D.Shah). Preprint (2017). Statistical mechanics of Steiner trees (with M. Bayati, A. Braunstein, A. Ramezanpour, and R. Zecchina) Physical Review Letters 101, 037208 1-4 (2008), reprinted in Virtual Journal of Biological Physics Research 16, August 1 (2008). Belief-Propagation for weighted b-matchings on arbitrary graphs and its relation to linear programs with integer solutions (with M. Bayati, C. Borgs and R. Zecchina) SIAM Journal of Discrete Mathematics, 25, 989-1011 (2011). Private graphon estimation for sparse graphs (with C. Borgs and A. Smith) Advances in Neural Information Processing Systems (NIPS) 28, 1369--1377 (2015). Full version of the above paper. Consistent nonparametric estimation for heavy-tailed sparse graphs (with C. Borgs, H. Cohn and S. Ganguly) preprint (2015). Unreasonable effectiveness of learning neural networks: From accessible states and robust ensembles to basic algorithmic schemes (with C. Baldassi, C. Borgs, A. Ingrosso, C. Lucibello, L. Saglietti, and R. Zecchina). Proceedings of the National Academy of Sciences (PNAS) 113, E7655�E7662 (2016). Entropy-SGD: biasing gradient descent into wide valleys (P. Chaudhari, A. Choromanska, S. Soatto, Y. LeCun, C. Baldassi, C. Borgs, J.T. Chayes, L. Sagun and R. Zecchina). International Conference on Learning Representations (ICLR), 1-19 (2017). Revealing network structure, condentially: improved rates for node private graphon estimation (with C. Borgs, A. Smith, I. Zadik). Proceedings of the 59 th Annual IEEE Symposium on Foundations of Computer Science (FOCS), 533-543 (2018). Bias in bios: a case study of semantic representation bias in a high-stakes setting (M. De-Arteaga, A. Romanov, H. Wallach, J. Chayes, C. Borgs, A. Chouldechova, S. Geyik, K. Kenthapadi, A. Kalai). Proceedings of the 2nd Conference on Fairness, Accountability, and Transparency (FAT* '19), 120-128 (2019). What�s in a name? Reducing bias in bios without access to protected attributes. (A. Romanov, M. De-Arteaga, H. Wallach, J. Chayes, C. Borgs, A. Chouldechova, S. Geyik, K. Kenthapadi, A. Kalai). Proceedings of the 16th Annual Conference of the North American Chapter of the Association for Computational Linguistics (NAACL '19). Best Paper Award. Algorithmic greenlining: an approach to increase diversity (with C. Borgs, N. Haghtalab, A. Kalai and E. Vitercik). AIII / ACM Conference on Artificial Intelligence, Ethics and Society (AIES) 13pp, (2019). A multifactorial model of T Cell expansion and durable clinical benefit in response to a PD-L1 inhibitor (M. Leiserson, V. Syrgkanis, A. Gilson, M. Dudik, S. Gillett, J. Chayes, C. Borgs, D.F. Bajorin, J. Rosenberg, S. Funt, A. Snyder, L. Mackey). Preprint (2018). Finding undetected protein associations in cell signaling by belief propagation (with M. Bailly-Bechet, C. Borgs, A. Braunstein, A.Dagkessamanskaia, J. Francois, and R. Zecchina). Proceedings of the National Academy of Sciences (PNAS) 108, 882-887 (2011). Simultaneous reconstruction of multiple signaling pathways via the prize-collecting Steiner forest problem (N.Tuncbag, A.Braunstein, A.Pagnani, S.C.Huang, J.Chayes, C.Borgs, R.Zecchina, E.Fraenkel), 16th Annual International Conference on Research in Computational Molecular Biology (RECOMB), 287 - 301 (2012) and Journal of Computational Biology 20, 124-136 (2013). Sharing information to reconstruct patient-specific pathways in heterogeneous diseases (A. Gitter, A. Braunstein, A. Pagnani, C. Baldassi, C. Borgs, J. Chayes, R. Zecchina, E. Fraenkel). Proceedings of the Pacific Symposium on Biocomputing (PSB), 39-50 (2014). On the spread of viruses on the Internet (with N. Berger, C. Borgs and A. Saberi) Proceedings of the 16th ACM-SIAM Symposium on Discrete Algorithm (SODA), 301-310 (2005). Local computation of pagerank contributions (with R. Andersen, C. Borgs, J. Hopcroft, V. Mirrokni and S. Teng) Proceedings of the 5th Workshop on Algorithms and Models for the Web Graph (WAW), 150-165 (2007). Robust PageRank and locally computable spam detection features (with R. Andersen, C. Borgs, J. E. Hopcroft, K. Jain, V.S. Mirrokni and S.H. Teng) AIRWeb 2008, 69-76 (2008). On the stability of web crawling and web search (with R. Andersen, C. Borgs, J. E. Hopcroft, V.S. Mirrokni and S.H. Teng) ISAAC 2008, 680-691 (2008). How to distribute antidote to control epidemics (with C. Borgs, A. Ganesh, and A. Saberi) Random Struct. Algorithms 37, 204-222 (2010). We know who you followed last summer: inferring social link creation times in twitter (with B. Meeder, B. Karrer, A. Sayedi, R. Ravi and C. Borgs) Proceedings of the 20th International World Wide Web Conference (WWW), 517-526 (2011). A sublinear time algorithm for PageRank computations (with M. Brautbar, C. Borgs and S.-H. Teng) Proceedings of the 9th Workshop on Algorithms and Models for the Web Graph (WAW), 41-53 (2012). The power of local information in social networks (with M. Brautbar, C. Borgs, S. Khanna, B. Lucier) Proceedings of the 8th International Workshop on Internet and Network Economics (WINE), 406 - 419 (2012). Finding endogenously formed communities (with M.-F. Balcan, M. Braverman, C. Borgs and S.-H. Teng) 24th Annual ACM-SIAM Symposium on Discrete Algorithm (SODA), 767-783 (2013). Multi-scale matrix sampling and sublinear-time PageRank (with M. Brautbar, C. Borgs and S.-H. Teng) Internet Mathematics 10, 20-48 (2014). Maximizing social influence in nearly optimal time (with M. Brautbar, C. Borgs and B. Lucier) Proceedings of the 25nd Annual ACM-SIAM Symposium on Discrete Algorithm (SODA), 946-957 (2014). Directed scale-free graphs (with B. Bollobas, C. Borgs and O. Riordan) Proceedings of the 14th Annual ACM-SIAM Symposium on Discrete Algorithms (SODA), 132-139 (2003). Degree distribution of the FKP network model (with N. Berger, B. Bollobas, C. Borgs and O. Riordan) Proceedings of the 30th International Colloquium on Automata, Languages and Programming (ICALP), 725-738, Lecture Notes in Computer Science 2719 (2003). Exploring the community structure of newsgroups (with C. Borgs, M. Mahdian and A. Saberi) Proceedings of the 10th ACM SIGKDD International Conference on Knowledge, Discovery and Data Mining (KKD), 783-787 (2004). Newsgroup cluster data referred to in the above paper. Degree distribution of competition-induced preferential attachment graphs (with N. Berger, C. Borgs, R. D'Souza and R. D. Kleinberg) Combinatorics, Probability and Computing 14, 697-721 (2005). Emergence of tempered preferential attachment from optimization (with N. Berger, C. Borgs, R. D'Souza and R. D. Kleinberg) Proceedings of the National Academy of Sciences (PNAS) 104, 6112-6117 (2007), cover article. Fitting the WHOIS Internet data A short note with technical details left out in the above paper. First to market is not Everything: An analysis of preferential attachment with fitness (with C. Borgs, C. Daskalakis and S.Roch) Proceedings of the 39th annual ACM Symposium on the Theory of Computing (STOC), 135-144 (2007). Uniform boundedness of crossing probabilities implies hyperscaling (with C. Borgs, H. Kesten and J. Spencer) Random Structures and Algorithms 15, 368-413 (1999). The birth of the infinite cluster: Finite-size scaling in percolation (with C. Borgs, H. Kesten and J. Spencer) Communications in Mathematical Physics 224, 153-204 (2001). The scaling window of the 2-SAT transition (with B. Bollobas, C. Borgs, J.H. Kim and D.B. Wilson) Random Structures and Algorithms 18, 201-256 (2001). Sharp threshold and scaling window for the integer partitioning problem (with C. Borgs and B. Pittel) Proceedings of the 33rd annual ACM Symposium on the Theory of Computing (STOC), 330-336 (2001). Phase transition and finite-size scaling for the integer partitioning problem (with C. Borgs and B. Pittel) Random Structures and Algorithms 19, 247-288 (2001). Constrained integer partitions (with C. Borgs, S. Mertens and B. Pittel) Proceedings of the 6th Latin American Symposium on Theoretical Informatics (LATIN), 59-68, Lecture Notes in Computer Science 2976 (2004). Phase diagram for the constrained integer partitioning problem (with C. Borgs, S. Mertens and B. Pittel) Random Structures and Algorithms 24, 315-380 (2004). Random subgraphs of finite graphs: I. The scaling window under the triangle condition (with C. Borgs, R. van der Hofstad, G. Slade and J. Spencer) Random Structures and Algorithms 27, 137-184 (2005). Random subgraphs of finite graphs: II. The lace expansion and the triangle condition (with C. Borgs, R. van der Hofstad, G. Slade and J. Spencer) Annals of Probability 33, 1886-1944 (2005). Random subgraphs of finite graphs: III. The phase transition for the n-cube (with C. Borgs, R. van der Hofstad, G. Slade and J. Spencer) Combinatorica 26, 395-410 (2006). The Kesten-Stigum reconstruction bound is tight for roughly symmetric binary channels (with C. Borgs, E. Mossel and S. Roch) 47th Annual IEEE Symposium on Foundations of Computer Science (FOCS), 518-530 (2006). Proof of the local REM conjecture for number partitioning I: Constant energy scales (with C. Borgs, S. Mertens and C. Nair) Random Structures and Algorithms 34, 217-240 (2009). Proof of the local REM conjecture for number partitioning II: Growing energy scales (with C. Borgs, S. Mertens and C. Nair) Random Structures and Algorithms 34, 241-284 (2009). Percolation on dense graph sequences (with B. Bollobas, C. Borgs and O. Riordan) Ann. Probab. 38, 150-183 (2010). Torpid mixing of some Monte Carlo Markov Chain algorithms in statistical physics (with C. Borgs, A. Frieze, J.H. Kim, P. Tetali, E. Vigoda and V. Vu) Proceedings of the 40th Annual Symposium on Foundations of Computer Science (FOCS), 218-229 (1999). On the sampling problem for H-colorings on the hypercubic lattice (with C. Borgs, M. Dyer and P. Tetali) in Graphs, Morphisms and Statistical Physics (eds. J Nesetril and P Winkler), DIMACS Series in Discrete Mathematics and Theoretical Computer Science 63, 13-28, American Mathematical Society (2004). Tight bounds for mixing of the Swendsen-Wang algorithm at the Potts transition point (with C. Borgs and P. Tetali) Probab. Theory Relat. Fields 152, 509 - 557 (2012). Gibbs states of graphical representations of the Potts model with external fields (with M. Biskup, C. Borgs and R. Kotecky) Journal of Mathematical Physics 41, 1170-1210 (2000). General theory of Lee-Yang zeros in models with first-order phase transitions (with M. Biskup, C. Borgs, L. Kleinwaks and R. Kotecky) Physical Review Letters 84, 4794-4797 (2000). Partition function zeros at first-order phase transitions: A general analysis (with M. Biskup, C. Borgs, L. Kleinwaks and R. Kotecky) Communications in Mathematical Physics 251, 79-131 (2004). Partition function zeros at first-order phase transitions: Piorogov-Sinai theory (with M. Biskup, C. Borgs and R. Kotecky) Journal of Statistical Physics 116, 97-155 (2004).